And, now another neighbor came to my place and she said she wanted to talk about something. Because I was in hurry, I told her we could talk on Saturday but she said it was too long...and she asked me my number and I just gave it to here....However I smelt that she might have an intention to borrow money...coz I heard she had sort of financial problem...I think I have to be brave to say NO! What do you think? Warren Buffett is the world's third richest man with an estimated fortune of over $52bn. But unlike the other billionaires that feature in Forbes' list of the 10 richest people in the world, Buffett doesn't have a retail empire, an oil well or a brain for computing to show for it – simply a lot of share certificates. The 76-year-old made his money through identifying companies that he believed were worth more than their market value, investing in them and holding that investment for the long-term. And it's certainly paid off. Class A shares in his company Berkshire Hathaway were $15 when he first took over in 1965 – today they are valued at $109,800 per share. It sounds remarkably simple, but given the ups and downs of the stock market, it takes a high level of discipline, nerve and conviction in your decisions. Although Buffett has never written a book detailing his investment style, much can be gleaned from the annual letter he sends to Berkshire shareholders. He doesn't view the purchase of shares in a company as buying a stake in that business, but believes that the investor should feel that they are actually buying that business outright. Because of that he looks for quality management, a durable competitive edge and low capital expenditure. Companies tend to have a strong brand name – Coca Cola, McDonalds and Gillette feature in his holdings – and a good history of solid earnings growth. We run through how Buffett invests his money. The basic premise of Buffett's investing style is buying something for less than it's actually worth. This sounds simple enough, but unearthing these stocks and prove difficult and it's easy to mistake a company that is unloved by the market because nobody has spotted its opportunity with one that is simply a dog. For that reason, Buffett applies some of the measures that are listed below. Buffett prefers to invest in companies with a proven level of strong profitability, giving more credence to this than what analysts predict will happen in the future. He looks at a number of measures to assess a business's profitability, including return on equity (ROE), return on invested capital (ROIC) and a company's profit margin. ROE is a measure of the rate at which shareholders are earning income on their shares and Buffett uses this measure to see how well a company is performing compared to other businesses operating in the same sector. You can calculate the ROE by dividing the company's net income by the shareholder's equity. It is believed that Buffett prefers a company that has an ROE in excess of 15%. He also looks for companies with above average profit margins, which can be calculated by dividing net income by net sales. The higher the ratio, the more profitable the company based on its level of sales. However, a company with a high ROE could be being fuelled by substantial levels of debt, which Buffett is keen to avoid. For this reason he also takes into accounted the ROIC. This helps take debt out of the equation by adding it back to the shareholder equity before doing the calculation. This can be calculated by dividing a company's total liabilities by its shareholder equity – the higher the ratio, the higher the level of debt the company is using to fuel its growth. He doesn't like over-indebted companies, as he says each year in his Berkshire Hathaway letters, because they could become vulnerable in a credit squeeze or when interest rates are rising, as they have been doing recently. Buffett will only invest in businesses he can understand and analyse, rejecting those that operate in complicated markets or where he is unsure of their operating model. He describes this as his 'circle of competence'. He has largely ignored the technology sector because he claims not to fully understand their business, but prefers retailing, food and insurance stocks. Buffett places great emphasis on the quality of a company's management. According to Robert Hagstrom, author of 'The Warren Buffett Way', he asks three questions of a company's management team – are they rational, do they admit to mistakes and do they resist the institutional imperative? He takes a dim view of management teams that simply follow the crowd, copying the lead of competitors. He also likes companies to have been floated for a 10-year period before investing, but says he never interferes with the running of a company. 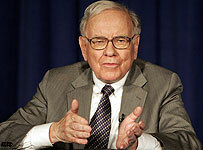 Buffett coined the phrase 'moat' to refer to the competitive advantage or unique proposition that gives a business protection against their competitors. He says those businesses that have a wider moat will offer more protection to the main core business, which he refers to as the castle. 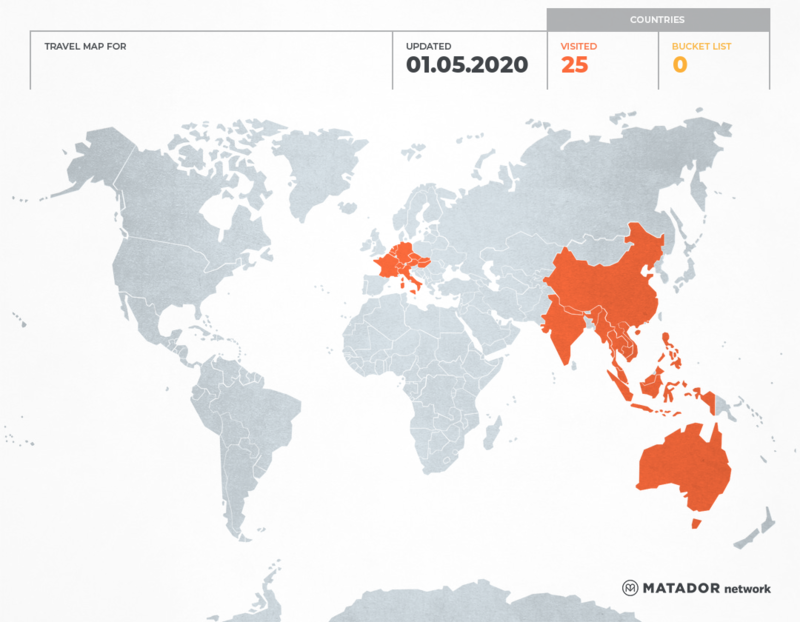 This could be geographical, entry costs, a strong brand name or owning a particular patent. Buffett tends to pick companies that offer strong brand names, even though there is a lot of competition in their particular markets. Examples include MacDonalds, Coca-Cola and Gillette. Moats are important to investors because if a business develops a successful product it is likely to be aped by competitors. How effecitively it can survive is largely determined by how its product differs from the others in the market and why consumers will keep coming back. When Buffett buys a stock he buys it with the view of holding it for life. He holds a number of permanent stocks in his portfolio, including Coca-Cola, GEICO and Washington Post, which he claims he'll not sell even if they appear to be significantly overpriced. This approach has led to accusations that his portfolio has a number of 'tired' stocks in it, but Buffett thinks investors are too quick to buy and sell. Boredom can cause rash buying decisions, forcing the investor to buy stock at the wrong time. Buffett has proved to be a master at the waiting game, preferring to sit on his cash rather than buy into a company just for the sake of it. He understands markets rise and fall and would prefer to wait until he feels a stock is cheap enough to buy. Buffett says investors would be better off if they could only invest a limited number of times, so they would make sure they were making the right investment. This is the most obvious error an investor can make. For evidence of the impact, you need only look at the recent sorry episode of the credit crunch. The greatest minds in the Square Mile and on Wall Street believed they had invented a new risk-free way of trading debt to generate colossal profits. It was, of course, total nonsense and taxpayers picked up the cost and global recession followed. But this over-confidence is not a new phenomenon. Countless financial disasters have occurred as a result of over-excited men in suits believing 'this time it's different'. Over-confidence is prevalent. Blake points to research that asked FTSE 100 management teams to grade their performance; they all put themselves in the top 25%. How it will affect you: Misplaced self-belief can wreak havoc with your portfolio. One example is that you will look at past investment calls and put a shrewd stock selection or fund exit timing down to your superior skills. It is more likely that you simply got lucky. Keep your achievements in perspective. Goalkeepers are told that if they stand still for a penalty kick, statistically, they have a 33% chance of saving it; but only 6% stand still. Why? Because, egged on by the crowd, they can't be seen to be doing nothing. IFAs want to be seen to be doing something. Small investors making their own calls can also fall victim to this 'activity bias'. How it will affect you: The costly manifestation of this is trading too much and trying to call the market by entering and exiting too frequently. You can miss rallies and share dealing always incur charges, pushing up your overall costs. How it will affect you: This will take large chunks out of the potential profits, unless you control it. So how do you do that? Fight the compulsion to 'get back to break even' – veterans of the dotcom wipeout in the Noughties will tell that it may never happen. And keep sight of your original reasons for investing: do they still apply? Traditionally, IFAs recommended sticking it what you know best. So they encouraged investors to put most of your money into UK investments. But the best performing emerging markets have left developed economies in the shade in recent years. And prospects for some of these economies are, arguably, far better than for our own: low government and consumer debts and favourable demographics in stark contrast to our own bulging borrowings and ageing population. But remember that emerging markets have, historically, been volatile. You may also want to consider backing other developed market economies. Japan, for example, is sometimes suggested as an opportunity because its market trades very cheaply – although commentators have been predicting the sun to rise in Japan for more than a decade. Behavioural finance warns investors to be aware of their own 'home bias'. A common mistake is to buy shares based on superficial evidence. An example would be to buy M&S shares because you like their clothes, but without drawing on any other information. A similar error is to make knee-jerk decision based on scant evidence – known as 'availability evidence – such as selling Japanese investments immediately after the tsunami struck. 'Conservatism bias' can also creep in, where decision-making is based on out-dated wisdom and information. The solution is to keep on gathering and processing as much information as possible before making decisions. After guns and the Iraq war, Michael Moore is now taking on an entire political and economic system in his latest documentary, Capitalism: A Love Story. So what message does the man who once planned to become a priest have? Michael Moore has been accused of many things. Mendacity. Manipulation. Rampant egotism. Bullying a frail old man with Alzheimer's. And that is by people who generally agree with his views. His latest film Capitalism: A Love Story is already out in the US when we meet. He comes storming down the hotel corridor, predictably unkempt in ragged jeans that have the unusual quality of appearing both too large and too small at the same time. I wasn't sure what to expect. Arrogance, perhaps. Cynicism. But he begins to schmooze while he's still some distance away, shouting he feels he knows me. A few months ago one of Moore's producers interviewed me for the film. I was cut from the finished version but Moore says he watched my every word. Settled on a couch I ask why he hasn't managed to persuade the downtrodden, uninsured, exploited masses to revolt. "My films don't have instant impact because they're dense with ideas that people have not thought about," he says. "It takes a while for the American public to wrap its head around some of the things I'm saying. Twenty years ago I told them that General Motors was going to collapse and take a lot of towns down with them. I was ridiculed, and GM sent around this packet of information about me, my past writings – pinko! With Bowling for Columbine, I told people that these shootings are going to continue, we've got too many guns, too easy access to the guns. [In Fahrenheit 9/11] I'm telling people that we're not going to find weapons of mass destruction in Iraq, we've been lied to." Capitalism: A Love Story seems the natural culmination of all his others, an overarching look at the insidious control of Wall Street and corporate interests over politics and lives. Its timing is exquisite, coming in the wake of the biggest financial collapse in living memory. And once again Moore is bracing himself: as the film drew to a close at its premiere in Los Angeles, he posted a message on Twitter: "The packed house gets up to grab their torches and pitchforks …"
The film is certainly shocking. Early on, Moore sets out the meaning of "Dead Peasants" insurance. It turns out that Wal-Mart, a company with a revenue larger than any other in the world, bets on its workers dying, taking out life insurance policies on its 350,000 shop-floor workers without their knowledge or approval. When one of them dies, Wal-Mart claims on the policy. Not a cent of the payout, which sometimes runs to a $1m (£620,000) or more, goes to the family of the dead worker, often struggling with expensive funeral bills. Wal-Mart keeps the lot. If a worker dies, the company profits. Wal-Mart is not alone. Moore talks to a woman whose husband died of brain cancer in 2008. He worked at a bank until it fired him because he was sick. But the bank retained a life insurance policy on the unfortunate man and cashed it in for $4.7m (£2.9m) when he died. There were gasps from the audience in a Washington cinema at that. They came again as Moore focused on the eviction of the foreclosed. The Hacker family of Peoria filmed themselves being chucked out of their home because of skyrocketing mortgage payments. Randy Hacker, gun owner, observes that he can understand why someone might want to shoot up a bank. In a final twist, the eviction squad offers the Hackers cash to clear out their yard. The Hackers are Republicans. So was the widow of the bank worker. It is the gap, between the ordinary American – Democrat or Republican, middle-class or dirt-poor – and predatory banks and mammoth corporations that Moore has made his target ever since Roger and Me, his first film, set out to expose the damage wreaked by General Motors on his hometown of Flint, Michigan. "One movie maybe can't make a difference," Moore says. "I'll say, what's the point of this? What do I want [my audiences] to do? Obviously I want them to be engaged in their democracy. I want them to get off the bench and become active." Last summer something happened that renewed Moore's conviction that his film-making was politically worthwhile. "I'm in the edit room and there's Bill Moyers on the TV interviewing the vice-president of Sigma health insurance. Massive, billion-dollar company. He's sitting there, telling the country that he's quit his job and he wants to come clean. That he and the other health insurance companies got together and pooled their resources to smear me and the film Sicko to try and stop people from going to see it because, as he said, everything Michael Moore said in Sicko was true, and we were afraid this film would be a tipping point. "I came away from that, with 'Wow, they're afraid of this movie, they believe it can actually create a revolution.' The idea that cinema can be dangerous is a great idea." Moore's critics would argue this is his ego speaking. The idea that his film about the failings of the US healthcare system was on the brink of prompting a revolution of any kind looks all the more far-fetched given how the political fight over the issue has panned out. But if Moore's primary intention is to send up a warning flare, to alert Americans to what is going on in their country but not usually reported, he's been pretty successful. At the end of Capitalism: A Love Story, Moore makes a pronouncement: "Capitalism is an evil, and you cannot regulate evil. You have to eliminate it and replace it with something that is good for all people and that something is democracy." Michael Moore once planned to be a priest. In his youth he was drawn to the Berrigan brothers, a pair of radical priests who pulled anti-Vietnam war stunts such as pouring blood on military service records. In an instructive moment for Moore, the brothers made clear they weren't just protesting against the war, but against religious organisations that kept silent about it. These days he disagrees with Catholic orthodoxy exactly where you would expect him to – he supports abortion rights and gay marriage – but he credits his Catholic upbringing with instilling in him a sense of social justice, and an activism tinged with theatre that lives on his films. "What I'm asking for is a new economic order," he says. "I don't know how to construct that. I'm not an economist. All I ask is that it have two organising principles. Number one, that the economy is run democratically. In other words, the people have a say in how its run, not just the 1%. And number two, that it has an ethical and moral core to it. That nothing is done without considering the ethical nature, no business decision is made without first asking the question, is this for the common good?" These days Moore, the son of a Flint car worker, lives in the smalltown surrounds of Traverse City with his wife Kathleen Glynn and stepdaughter Natalie, a four-hour drive and a world away from where he came from. But Traverse City, which is on Lake Michigan, has endured its own decline. Walking along the restored foreshore, a sign says that the city was once a major lumber exporter. Now it is known as the "Cherry Capital" of America. "When I first got here the theatre was boarded up," says Moore. "It was a mess. I said, look, let me reopen this theatre, I'll create a non-profit. It has brought, like, half a million people downtown in the first two years. If they're downtown they go out to dinner, they go to the bookstore. It livens everything up. Stores open. Now there's no plywood on any windows." This, says Moore, has made him something of a local hero even in a town that votes Republican. "The county voted for McCain and for Bush twice. But not a day goes by when a Republican here doesn't stop me on the street and shake my hand and thank me. Me, the pariah!" There are conservatives who get Moore's message, particularly families such as the Hackers who have been betrayed by the system they thought was working for them. But identifying their suffering, and even the cause of their problems, is very different from persuading them that capitalism is evil, although they might just buy in to what Moore says is the core message of his latest film – "that Wall Street and the banks are truly the enemy, and we need to tie that beast down and quick". His enemies in the rightwing media will be doing everything they can to ensure this doesn't happen, portraying him as a propagandist. And even some of his supporters say he is too willing to leave out inconvenient facts. But there's no denying some very powerful truths in Capitalism, one of which is that it didn't need to be this way in America. Moore has dug out of a South Carolina archive a piece of film buried away 66 years ago because it threatened to rock the foundations of the capitalist system as Americans now know it. President Franklin D Roosevelt was ailing. Too ill to make his 1944 state of the nation address to Congress, he instead broadcast it by radio. But at one point he called in the cameras, and set out his vision of a new America he knew he would not live to see. Roosevelt proposed a second bill of rights to guarantee every American a job with a living wage, a decent home, medical care, protection from the economic fears of old age, sickness and unemployment, and, perhaps most dangerously for big business, freedom from unfair monopolies. He said that "true individual freedom cannot exist without economic security and independence". The film was quickly locked away. "The next week on the newsreels – and we've gone back and researched this – they didn't run that," said Moore. "They talked about other parts of his speech, the war. Nothing about this. The footage became lost. When we called the Roosevelt presidential library and asked them about it they said it wasn't filmed. His own family told us it wasn't filmed." Moore's team scoured the country without luck until they were given a tip about a collector connected to the university of South Carolina. The university didn't have anything archived under FDR's speeches that fitted, but there were a couple of boxes from that week in 1944. "We pop it in. It was all there. We had tears in our eyes watching it. For 65 years not a single American saw that speech, not one. I decided right then that we're going to fulfil Roosevelt's wishes that the American people see him saying this. Of all the things in the film, probably I feel most privileged that I get to share this. I get to give him his stage." It's a powerful moment not only because it offers an alternative view of American values rarely spoken of today – almost all of which would be condemned as rampant socialism – but also an interesting reference point with which to compare the more restrained ambitions of the Obama administration. It is hard to imagine any circumstances in which Obama could put forward such an agenda, I suggest. Moore disagrees. "He could make that speech." "He has told people he's going to operate these four years not with an eye on getting re-elected but on getting things done. I have been very happy for the last year. We came out of eight dark years and his election was – what's the word? – the relief I felt that night, I've been filled with hope since then. Now my patience is running a bit thin. He hasn't taken the reins and said: I'm in charge here, this is what we're doing. Do it. I can understand he's afraid but he's gotta do it." "A thief-in-chief … a drunk, a possible felon, an unconvicted deserter and a crybaby"
"I say stupid white men are always the problem. That's never going to change"
"It was pretty much like any other morning in America. The farmer did his chores. The milkman made his deliveries. The president bombed another country whose name we couldn't pronounce"
Di tengah krisis ekonomi dan finansial dunia saat ini, dimana sebaiknya kita menempatkan dana kita? Pertanyaan ini banyak dilontarkan oleh nasabah akhir-akhir ini. Pada kondisi sekarang ini, maka pengamanan dana darurat (dana yang diperlukan saat menghadapi situasi darurat) mutlak dibutuhkan. Dana darurat dapat ditempatkan pada deposito bulanan ataupun reksa dana pasar uang yang memberikan likuiditas tinggi (mudah dicairkan). Umumnya, besarnya dana darurat yang perlu disisihkan dapat mencapai 3 sampai 6 kali pengeluaran bulanan. Setelah dana darurat terpenuhi, pertimbangkan investasi jangka menengah-panjang di instrumen obligasi atau reksa dana pendapatan tetap. Disini, pertimbangan faktor keamanan memegang peranan penting, dimana obligasi pemerintah (ORI) atau sukuk dapat dijadikan sebagai pilihan kita. Setelah semua tujuan tersebut terpenuhi, barulah kita berinvestasi untuk tujuan jangka panjang. Investasi langsung di saham atau reksa dana saham, maupun investasi di properti dapat kita pertimbangkan. 2. Time Horizon: berapa lama waktu yang dibutuhkan? Maksudnya, berapa lama lagi dana tersebut akan kita butuhkan. Apakah investasi ini untuk jangka panjang (pensiun, pendidikan anak), atau jangka pendek (bayar hutang, beli mobil, liburan ke Bali)? Semua instrumen investasi memiliki risiko, high risk-high potensial return. Tabungan/deposito, memang dijamin oleh pemerintah (LPS), tapi instrumen ini sangat peka terhadap inflasi. Jika tabungan kita memiliki bunga sekitar 4% sedangkan inflasi 8%, maka sebenarnya nilai uang kita menyusut setiap tahunnya. Jika kita investasi di reksa dana atau bahkan berinvestasi langsung di bursa saham atau valuta asing, maka kita akan memiliki eksposur terhadap risiko fluktuasi pasar yang rentan terhadap kebijakan pemerintah, perkembangan ekonomi dunia, walaupun kita memiliki potensi keuntungan yang besar jika perekonomian mulai membaik. Properti juga tidak selamanya aman; lihat saja krisis di AS saat ini, dan beberapa kejadian tertentu (atau bencana alam) yang dapat menghilangkan nilai aset tersebut. Ingat: jangan taruh semua telur Anda dalam satu keranjang; alias jangan investasikan 100% dana Anda pada satu jenis instrumen. Dalam hal ini, Re-balancing portofolio investasi sesuai dengan aset alokasi dan profil risiko kita. Biasanya dilakukan setiap 6 bulan atau 1 tahun sekali. Dalam berinvestasi, yang susah adalah menjaga komitmen dan konsistensi. Komitmen untuk tetap berinvestasi (alias tidak cut-loss di masa krisis seperti ini), dan tetap konsisten untuk terus berinvestasi. Saat kondisi pasar sedang bullish, mudah sekali rasanya untuk menyisihkan sebagian dana untuk menambah investasi. Tapi saat kondisi pasar sedang bearish seperti sekarang, rasanya pasti males untuk melakukan Top Up. Tapi itulah investasi, jika time horizon yang direncanakan adalah 5 – 10 tahun, maka seharusnya tidak perlu khawatir dengan fluktuasi pasar saat ini. Tidak ada kondisi yang buruk melulu, dan tidak mungkin juga iklim investasi yang terus-terusan baik. Menabung untuk jangka panjang menjadi tidak make sense, karena nilai inflasi yang begitu tinggi. Belum lagi kebutuhan dana di masa datang yang cukup besar untuk pendidikan anak, pensiun, dll. So brave yourselves, meskipun keadaan ekonomi sedang tidak menentu, program investasi harus tetap jalan. Belum punya program investasi? Mulailah sekarang! Lakukan secara bertahap (dollar cost averaging) dengan Installment Plan Reksa Dana di Bank Mandiri! Installment Plan Reksa Dana Bank Mandiri merupakan fitur tambahan untuk pembelian/subscription reksa dana secara berkala dan otomatis setiap bulan (automatic monthly subscription). Dengan fitur ini, rekening tabungan akan didebet secara otomatis setiap bulan sesuai tanggal yang dipilih (antara tanggal 1 s.d tgl 28) dan nilai nominal yang telah ditetapkan. Jumlah minimum untuk investasi secara berkala dengan installment plan mulai dari Rp 100.000,- atau sesuai dengan minimum yang tertera di prospektus untuk 1 produk. Namun demikian, apabila Bapak/Ibu belum memiliki produk reksa dana yang akan ditambahkan melalui fitur installment plan, Bapak/Ibu harus melakukan pembelian awal terlebih dahulu yang besarnya minimum Rp 500.000,- atau sesuai minimum pembelian awal yang tercantum di prospektus. Seluruh Reksa Dana terbuka (34 produk) yang dijual melalui Bank Mandiri baik itu Reksa Dana Pasar Uang, Pendapatan Tetap, Campuran, Saham ataupun Reksa Dana Indeks dapat dilakukan dengan installment plan. Tidak ada biaya administrasi untuk keikutsertaan fitur installment plan, biaya yang dikenakan adalah subscription fee berkisar antara 0 % s.d. 3 % dan redemption fee berkisar 0 % s.d. 1,5% untuk penempatan dibawah 1 tahun (diatas 1 tahun pada umumnya berlaku redemption fee 0%). Ada pertanyaan apakah dengan dana sebesar Rp. 200.000,- atau Rp. 300.000,- dapat memenuhi salah satu kebutuhan masa depan? Jadi, hanya dengan mengorbanabkan 1 kali pergi ke mall atau berhenti merokok dan semakin dini investasi berkala Bapak/Ibu lakukan, Bapak/Ibu dapat menikmati hasil investasi yang cukup signifikan. Jadi, hanya dengan memanfaatkan bunga deposito yang sudah ada, Bapak/Ibu dapat menikmati hasil investasi yang cukup signifikan. Hal ini membuktikan bahwa asalkan kita rutin berinvestasi jangka panjang dalam suatu instrument / produk yang dapat memberikan return besar (dalam hal ini return sebesar 15%), maka hasil yang di dapatkan maksimal (lebih besar dari investasi yg telah dilakukan Manajer yang nominal investasi setiap bulan 5 X lipat, tetapi hasil investasinya hanya 6 %). Installment Plan Reksa Dana yang dimulai pada usia dini merupakan pilihan dan kunci sukses yang dibutuhkan. Mumpung saham dan NAB reksa dana sedang turun, mumpung harga obligasi sedang rendah. Sekecil apapun dan dalam bentuk apapun, teruslah berinvestasi! Why is the U.S. dollar in such trouble? In May, the U.S. dollar index cracked important support. This affects all Americans, because we are all speculating in the U.S. dollar. If you don't think so, open your wallet. Do you see dollars there? Then you're speculating on the dollar by holding on to it. Probably most of your investments are dollar-denominated as well. Another leg down in the dollar could translate into tough times for your portfolio -- and you. Now for the good news -- there are ways to cushion yourself against the dollar's pain. I'll give you some ideas in just a bit. First, why is the U.S. dollar in such trouble? U.S. government deficits are ballooning, and turning a deeper shade of red -- about $1.8 trillion this year alone, and up $500 billion in two months. In fact, the U.S. government is going into debt so fast that the Fed is buying Treasuries, which is like a snake eating its own tail. The government is doing this with good intentions, to try and keep the economy from running off the rails. But our debt is increasing so fast that the U.S. may lose its Triple-A credit rating. Losing that rating would start a downward spiral of higher rates and more debt. The Treasury thinks it can just print dollars to paper over the mess; traders are showing their displeasure by sending the dollar lower. You know who else is getting disgusted? China. According to U.S. Treasury data, from August 2008 to March 2009, China shifted more of its purchases to short-dated U.S. Treasuries from long-term agency debt. The general trend is for less buying of long-term U.S. Treasuries. It's as if China is giving Uncle Sam a vote of no confidence. So if China is moving away from the dollar, what does it want to use instead? China has signed $95 billion in swap agreements with Argentina, Indonesia, South Korea, Hong Kong, Malaysia and Belarus in recent months. The more that countries trade in their own currencies, the less they have to rely on the U.S. dollar. Other countries besides China are making similar agreements. Even a slow, gradual turn away from the dollar will put ever more pressure on our currency and debt. It seems the writing is on the wall for the greenback. One is agricultural commodity exchange-traded funds. Commodities are priced in dollars, so as the value of the dollar goes down, the value of commodities usually go up. I'll leave talking about gold, silver and oil ETFs to others - let's talk about the huge potential in agricultural commodities. Everybody needs to eat, and people in Asia want to eat more like big, fat Americans every day. Throw in the vagaries of weather, fuel prices and disease, and you have some powerful forces in a commodity that must be constantly replaced. And this year, the pressures on harvests could be extreme. "The 2009 growing season has gotten off to a rough start, and farmers could face their toughest year yet," says commodity trader Kevin Kerr. He's finding that a lot of farmers are bedeviled by weather that made it tough to get crops in the ground in May. In his 2009 Agriculture Report, Kerr added: "Statistics and research show that corn yields as well as soybeans yields may drop dramatically if crops are not planted by the middle of May." An easy way to play this move is the PowerShares DB Agriculture Fund. /quotes/comstock/13*!dba/quotes/nls/dba (DBA 27.89, +0.13, +0.47%) It tracks an index composed of futures contracts on corn, wheat, soy beans and sugar. Other funds let you specialize in various parts of the agriculture sector - the Dow Jones AIG Grains Total Return /quotes/comstock/13*!jjg/quotes/nls/jjg (JJG 45.67, +0.45, +1.00%) is another example. However, some agriculture funds in that same family like cotton /quotes/comstock/13*!bal/quotes/nls/bal (BAL 32.06, +1.12, +3.62%) , coffee /quotes/comstock/13*!jo/quotes/nls/jo (JO 41.38, -0.12, -0.29%) and cocoa /quotes/comstock/13*!nib/quotes/nls/nib (NIB 40.23, -0.09, -0.22%) have low volume, so be very careful. Treasuries are another way to go. The ProShares UltraShort 20+ Year Treasury fund /quotes/comstock/13*!tbt/quotes/nls/tbt (TBT 52.64, -3.13, -5.61%) is an ETF that aims to track twice the inverse of long-dated Treasuries -- the ones from which China is shying away. Leveraged funds can move against you with brutal speed, so be careful here as well. But if you think Treasuries are cruising for a bruising, the TBT is a good way to play that move. Finally, you can go short on the dollar. The PowerShares DB Dollar Index Bearish Fund /quotes/comstock/13*!udn/quotes/nls/udn (UDN 26.94, +0.30, +1.13%) tries to track being short the U.S. dollar versus a basket of leading currencies. This one doesn't move a lot, but it fairly consistently goes up as the dollar goes down, and vice versa. In this wild and crazy market, there are three important things you must do: Buy on pullbacks -- don't chase anything, no matter how tempting. Use a protective stop in case this rally gives up the ghost and the bear rears its ugly head again. And use a profit target and don't be greedy -- bag those gains and get out.